I’m not going to lie, New York City vacation with kids is my very favorite destination at Christmas. 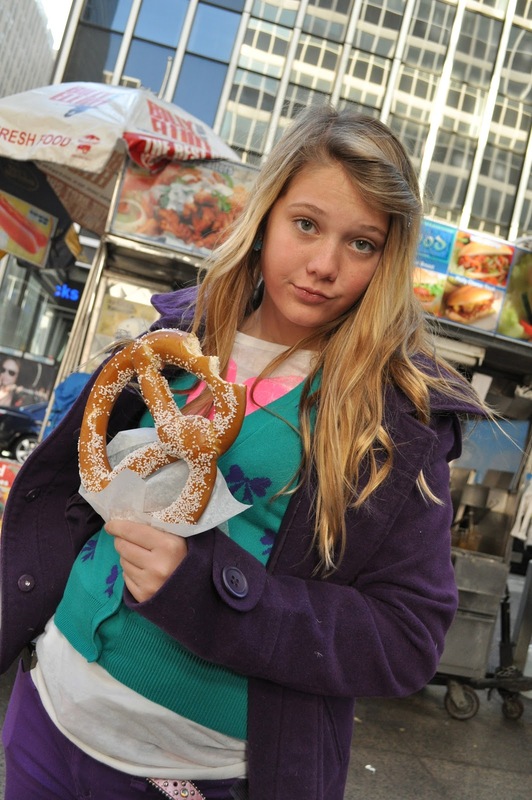 Now don’t get me wrong, I love visiting NYC with my husband, friends, and have even done a trip with just my five sister-in-laws and mother-in-law but going with kids turns me into a kid as well. Last Christmas Trent and I decided to surprise the kids with a very sparse Christmas for the kiddos. With only three small presents each we celebrated Christmas morning very quietly. I could tell my older kids were wondering if we were really serious. A book? A CD? A board game? There were no iPods, or iPhones, no ride on scooters or things they knew their friends were getting, instead we were giving the gift of an adventure! Christmas morning, Ready to get downstairs! Don’t let Colton’s faces scare you! At first it all seemed like a gift of disappointment. –I’m actually not opposed to this gift either. I have often been quoted as telling my kids that this is an important gift to learn how to receive. But this certainly was not the case this year. Back to the trip and Christmas morning. The kids unwrapped their presents at 4:30am we had a nice little breakfast at 5:30am and then Trent told them all to go get dressed for church. It was Sunday but the kids were perplexed. Why did Dad want them to get ready so early? Little did they know we had a 7:30am flight we had to catch! We were off. We arrived at the airport in comfy church clothes we could travel in and set off for our fun in New York. When we arrived at JFK there was still time to get in our waiting van to take us over to church at the Manhattan 1st ward. Congregation times can be found at www.lds.org We knew of all Sundays we couldn’t miss going to church on Christmas Day! It was an amazing visit to a congregation full of so much talent! The singing, the testimonies it was a great way to start our visit in NY. I should also mention that this ward meets in the temple building in New York so it is a beautiful location to celebrate the birth of our Savior. Just finished church at the Manhattan 1st ward. Could I look more tired? 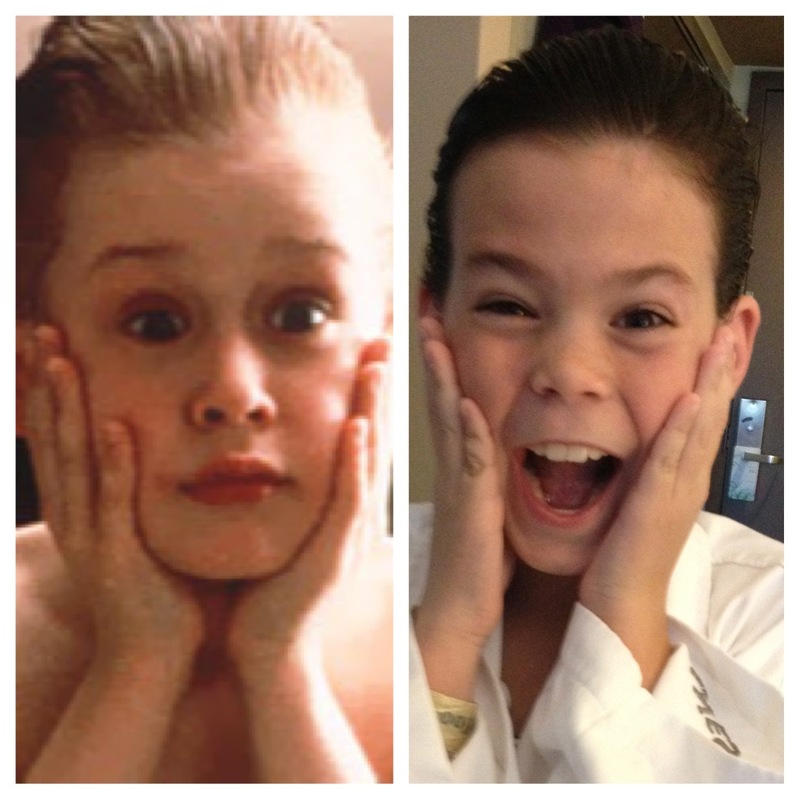 Since Times Square is my kids favorite place to be in the city we had made a reservation to stay at the Westin. This however would not be my recommendation for future visitors. I really thought this was a poorly kept property. The service was great, the reservation counters and foyer aren’t bad but the rooms were not up to my expectations. I’m fine with a clean room, and a bed with soft linens but the rooms we got felt dirty and unkept. I complained a few times but with the busy staff during the holiday season it really didn’t make a difference. My resolution was that we would never stay here again. I think the Marriott in Times Square would have been a better choice. 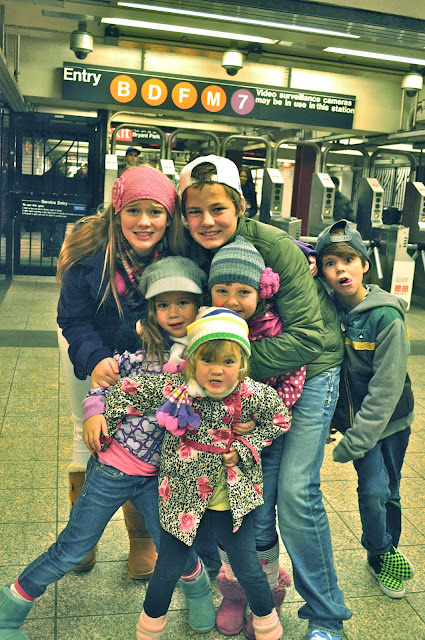 From Times Square it is possible to walk to many of the locations we wanted to see, or ride the subway, even with six kids! Plus it beats the traffic of the city sitting in two different taxis because that is what we would have to do with our little pack. 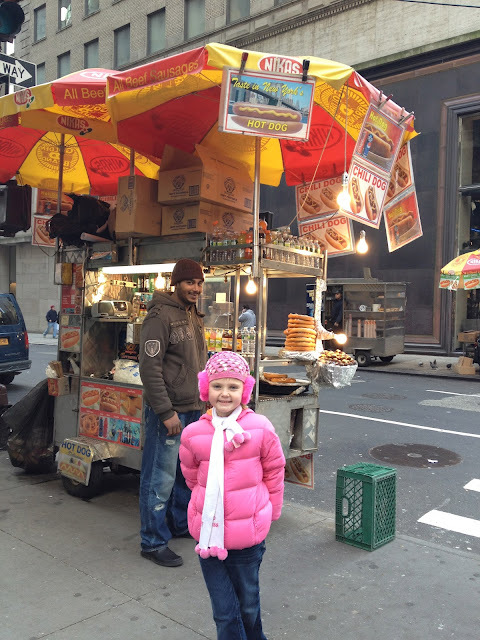 We loved walking over to Bryant Park www.bryantpark.org and having chocolate crepes and hot chocolate at The Crepe Cafe http://theholidayshopsatbryantpark.com. From there just around the corner is the New York City library that is fun to check out and take a few pics. These will be some of my favorite pictures of the entire trip! 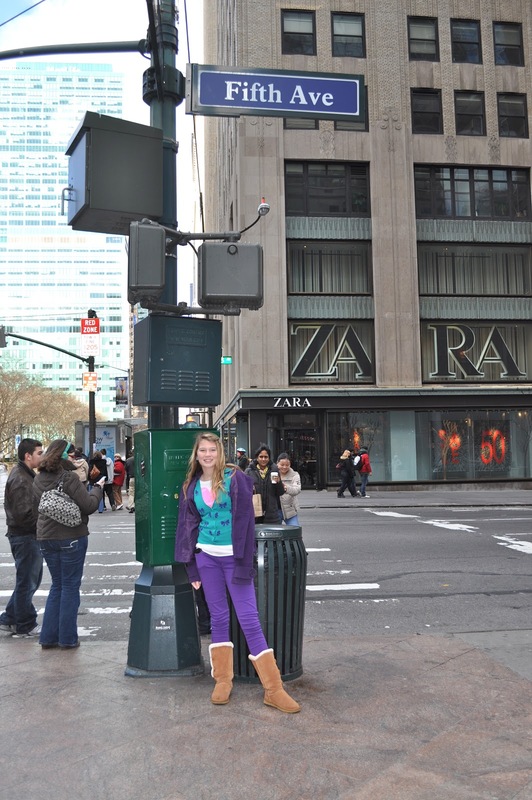 We love walking down Fifth Avenue and checking out all of the shopping. The little girls also couldn’t help but notice the few homeless people begging there on the street and it was humbling to see them strike up conversations and give them the few coins they had in their pockets. 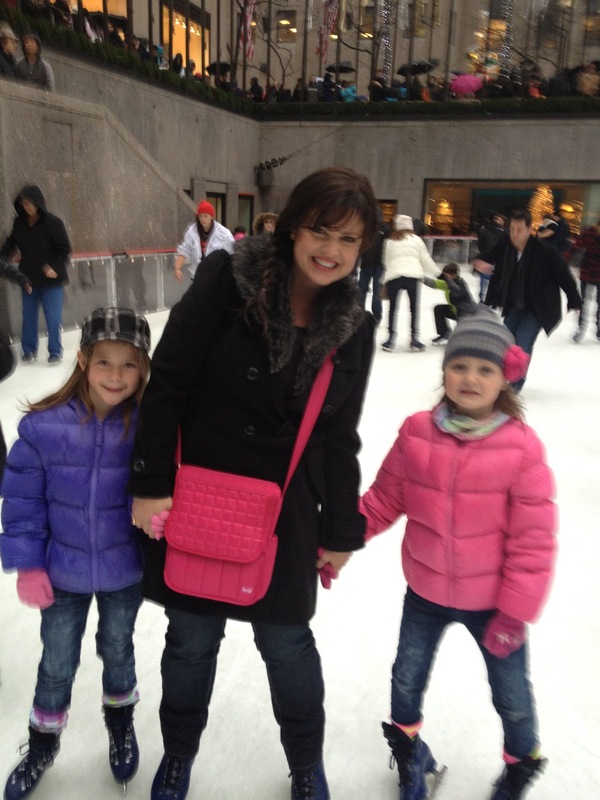 One of my very favorite activities was the day we decided to ice-skate in Rockefeller Plaza. http://www.rockefellercenter.com I know it is kind of cliche and a total tourist trap but it was the most Christmasy place in all of New York. 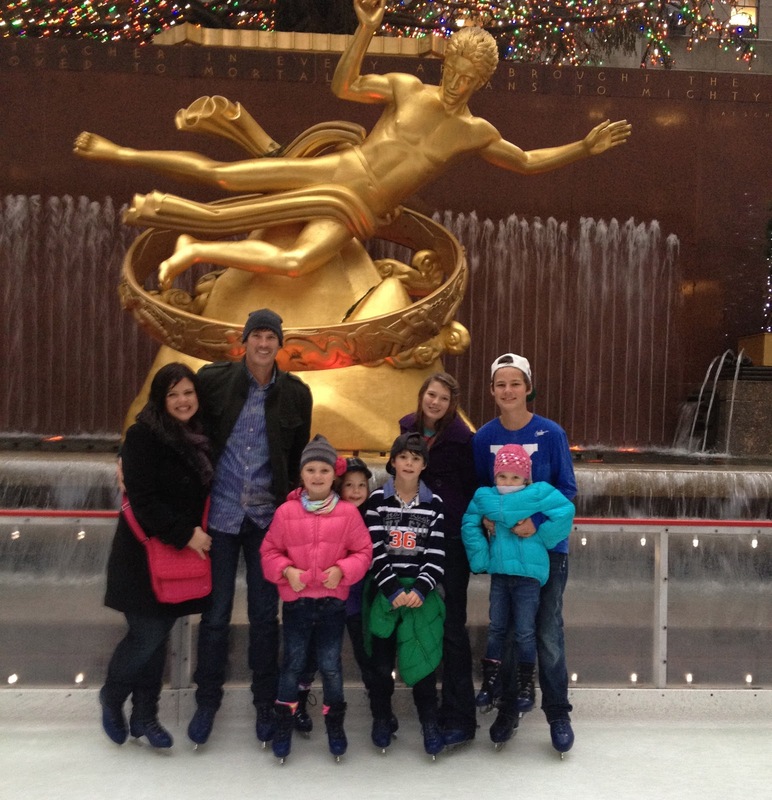 We paid a little extra to get the reserved ice-skate time and avoid standing in line for hours. 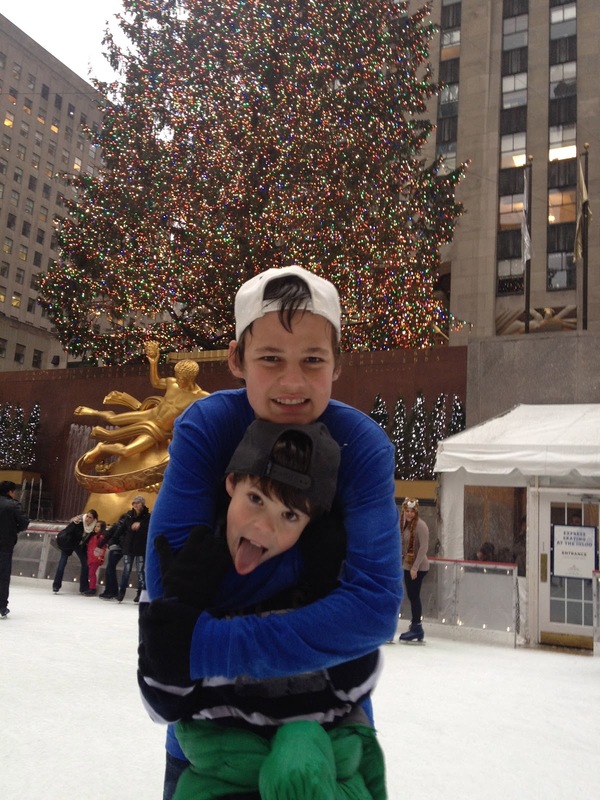 We were able to enter down in the plaza and put our ice-skates on in a small heated room that served never ending hot-chocolate and candy canes. Then when we finally got ice skates on all eight of us we headed out onto the ice. About this time it began to sprinkle a little and we were all wet in no time. It was a small rink and we lapped it many times but with the Christmas music playing, the crowds watching from above and from the restaurants below, and our noses turing red it all added up to a very cheery holdiay moment. We took pictures, played tag and had fun like little kids. 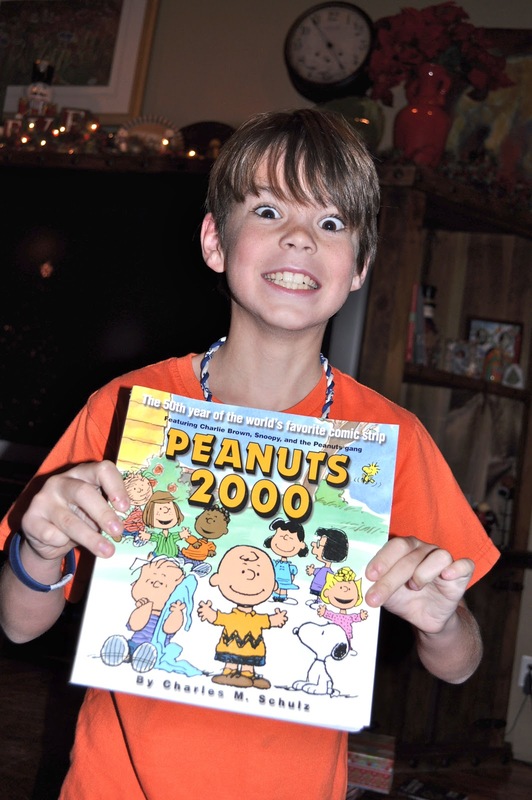 It was my absolute favorite thing to do with my kids at Christmas time. 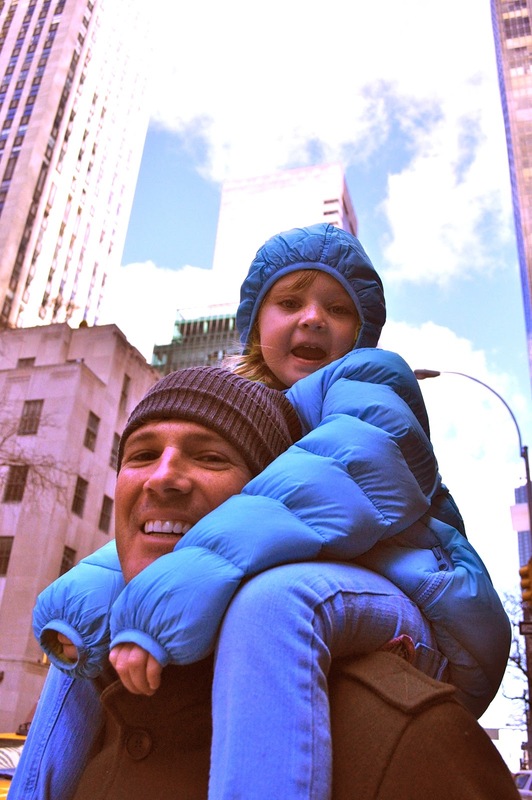 What could be better than seeing the sights of NYC from Dad’s shoulders? 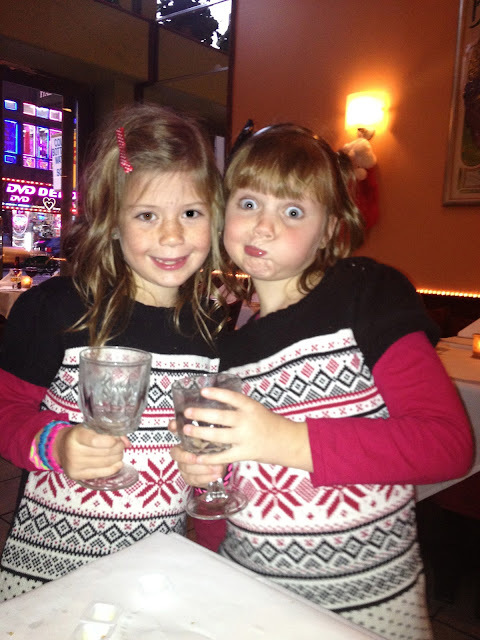 Another fun thing we had a chance to do was brunch at the American Girl doll store, www.americangirldoll.com. 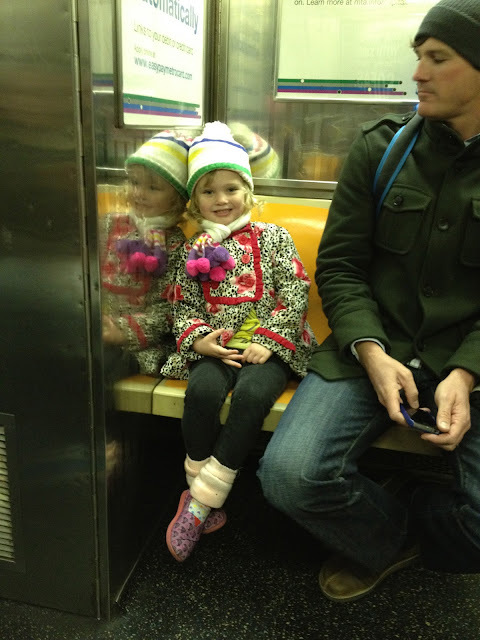 My four girls and I, packed their dolls and brought them to New York just for this very specific activity. It was so much fun! 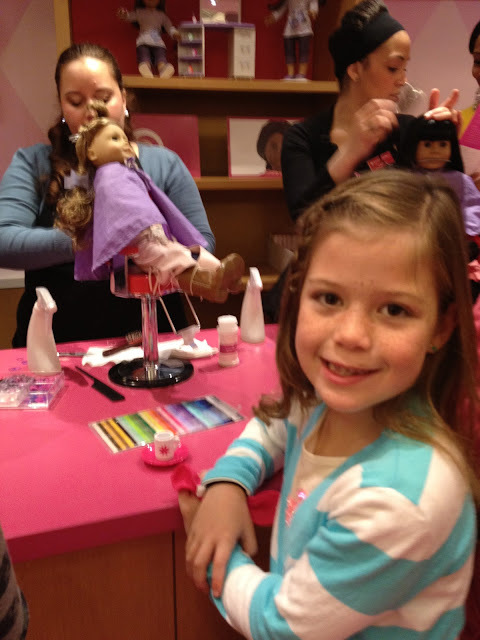 We arrived at the American Girl Doll Store and had some time to browse the selections with a personal shopper. I had called ahead and set this up only because the store was packed during this time of year. This way the girls just pointed out what they wanted and the personal shopper took us around to a private room with some couches so we could check out in peace. It was worth the tip we gave our helper and kept my peace of mind. 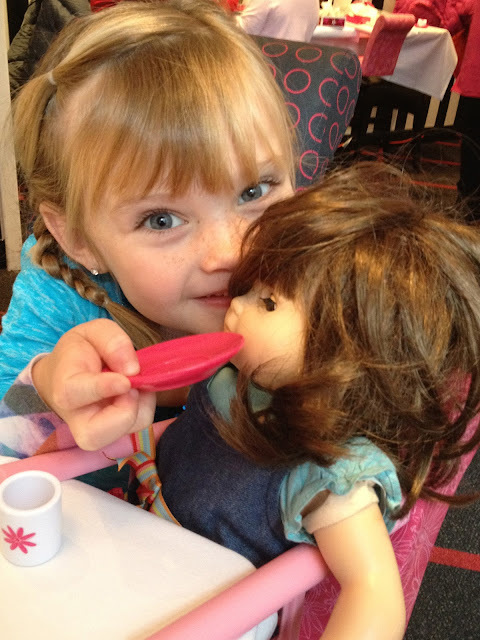 What little girl doesn’t love feeding her baby doll at the table? After making our purchases we went upstairs to the cafe. Though Bailey felt like she was too old for this activity she loved it nonetheless. They gave us chairs for our dolls and even served utensils for them. In the middle of the table we had a box full of questions to ask each other like, “If you could travel anywhere in the world where would it be?” or even “What was the name of your first pet?”. I suspect these questions were for mothers and daughters who may have a hard time keeping a conversation going but my four girls and I loved the novelty of it all and went through every question laughing at each and every question and answer. 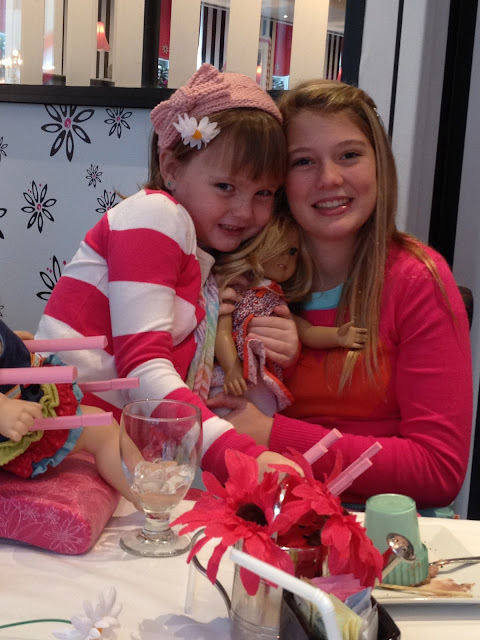 All four girls loved our day with their dolls. Even Bailey reunited with her own doll Kit for the day! The brunch was a delicious selection from Fancy French Toast to Eggs Benedict. The whole sample menu can be found at http://www.americangirl.com/stores/pdfs/SampleCafe.pdf We loved the experience. Luckily the boys kept themselves busy at the NBA store across the street and the girls and I relished our time together. Between the yummy food and fun shopping experience I would recommend this to any mother with a daughter between the ages of 4-12! It was so much fun. Every kid loves having a dessert thats on fire!! The last place I want to mention in this post is another eating establishment, Max Brenner’s the Chocolate Man! maxbrenners.com There are four locations in the US; New York, Philadelphia, Boston and Las Vegas. It really is a fun little place to eat. Most items on the menu, even the savory ones, have some sort of chocolate flair added to them. 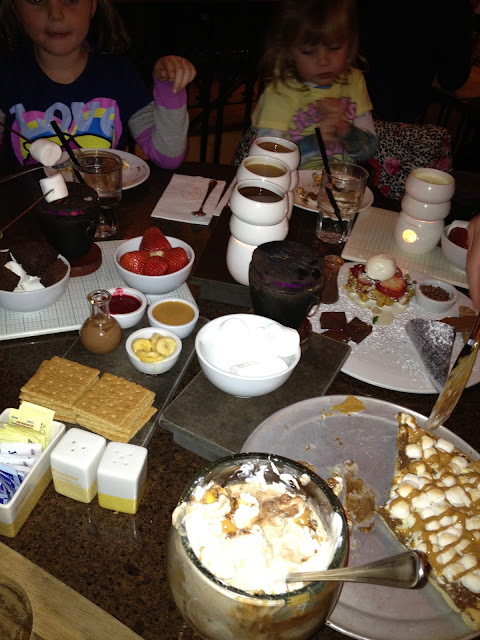 Whether its the waffle fries dusted with chili and cocoa powder to all the yummy desserts, my kids were in heaven. 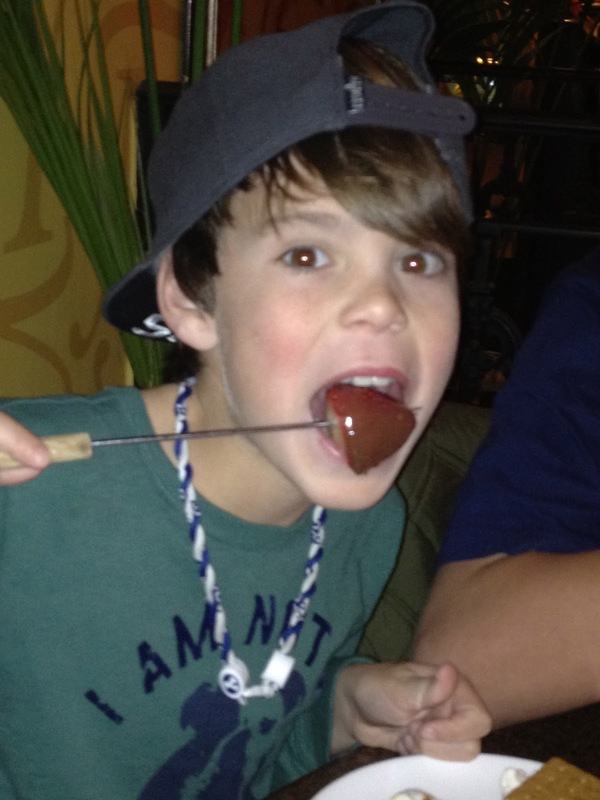 As a special treat Trent ordered a ton of desserts! Our favorites were the Hazelnut Creme Banana Toffee Crepe, Urban Smores Fondue, The Euphoria Peanut Butter Chocolate Fudge Sundae, and the Chocolate Chunks Pizza. More than a family of eight could even eat but it imprinted a memory of deliciousness that has kept my kids asking for more all year long! 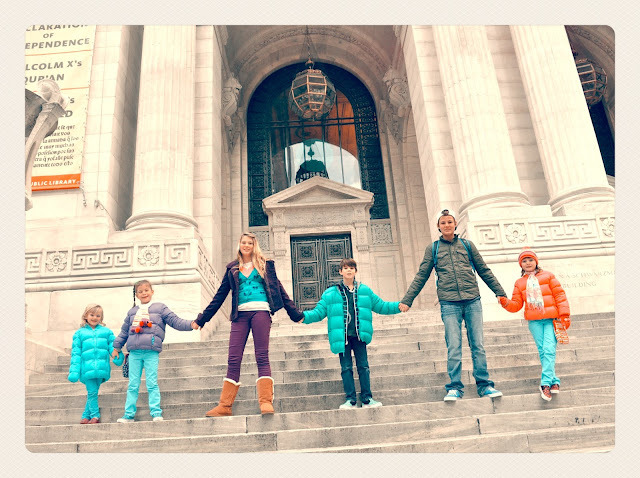 There is so much more I need to share about our fabulous NYC kid experience and if I try and tuck it all into this post it wont do it justice. So keep a look out for my next installment on NYC for kids so you don’t miss a thing, and if you have anything to add please let me know. This was our second Christmas trip to NYC with the kids and I know it wont be our last. I would love to know of anything I may be missing! The big apple truly has so much to offer!